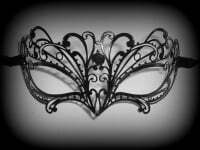 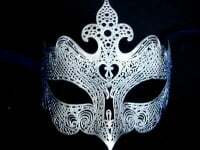 Imbued with the romance of a by-gone era, this stunning Pure Indulgence Filigree Masquerade Mask - Black has a warm and luxurious finish that is guaranteed to flaunt your feminine side. 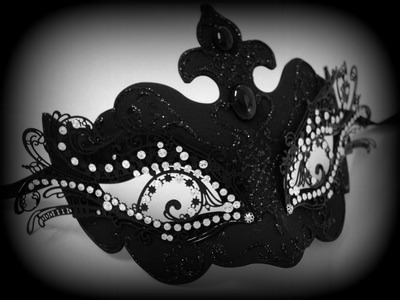 Intricately detailed with swirling strands of gloss nero black metal and adorned with clear crystals. 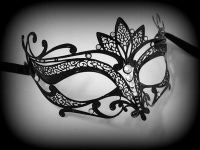 Perfectly on trend with its vintage-inspired style and black finish, this gorgeous ladies mask will bring a touch of old-world romance to any of your looks at the ball or party.